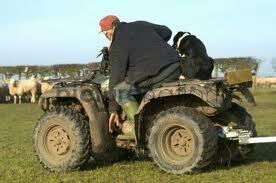 A farmer named Sid was overseeing his stock in a remote moorland pasture in North Yorkshire when suddenly a brand-new BMW advanced toward him out of a cloud of dust. “That’s right. Well, I guess you can take one of my calves,” says Sid..
“You’re a Member of Parliament”, says Sid. “No guessing required.” answered the farmer. “You showed up here even though nobody called you; you want to get paid for an answer I already knew, to a question I never asked. You used millions of pounds worth of equipment trying to show me how much smarter than me you are; and you don’t know a thing about how working people make a living – or about cows, for that matter. This is a herd of sheep. …. …..With thanks to one of my customers for brightening up my day with this little gem!